Read the migraine app reviews your fellow migraine sufferers are sharing here at Migraine Savvy. Save time and money by finding out what works best. Ok ... well ... time as some of the apps are free! Click here to submit your own review on migraine apps. The first app I used was iManageMigraine. I only kept it up for a few months. That was ages ago now. I grew tired of using it. I felt it had to be easy to add my data and not feel time consuming. Actually, looking back, I had a lot of expectations for a free product! Anyway, it is much simpler to gather information over a period of time if you have the technology and the patience to learn how it works. I also use a Migraine Diary every day which is manual but it helps on those days I cannot log in or face a computer screen. I know, you know what I mean. It's an essential tool imo! Join the mailing list here to get your own copy to use with 4 other things you can use every day... instantly! 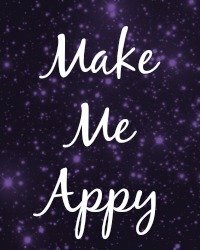 Migraine App Reviews on My Migraine Triggers by Jess C.
Likes: That you can add your own symptoms and treatments. I have begun tracking my migraines for a month now. The fact that I can check a box is a lot better than writing out the same symptoms every day. I also love that it compiles your data into a chart! I feel like I will improve my treatment plan and get a proper diagnosis due to the amount of detail you can add! Dislikes: Sometimes it says it saved, and then my updates are gone. It was on the way to my latest neurologist appointment. I had to quickly redo the revisions I made. How often you get migraines: Every day, especially during the winter. I live in Colorado and altitude and barometric pressure changes are huge triggers for me. Your overall advice on this app: Save multiple times before leaving the page on the chance that it didn't the first time. There are also biofeedback apps like the Heart Math that has had amazing results. Training your body using biofeedback is a proven way to reduce the frequency and severity of migraine attacks. There are hundreds of apps to help us track migraines, I can not do a thorough review on each one. Thank you once again for submitting your migraine app reviews. I, and other fellow migraine sufferers appreciate it.